Sells more HD movies per player... or does it? 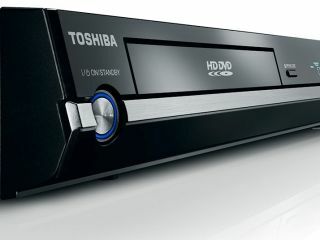 HD DVD player owners in Europe are snapping up more HD movies than their Blu-ray counterparts. That's according to the European HD DVD Promotional Group which today said that HD DVD owners buy, on average, 3.8 HD movies each, compared to just 0.6 movies sold per Blu ray player. The figures were collated by independent research group GfK and, for once, they analyse the number of movies sold for all HD players including games consoles. Usually, the HD DVD camp likes to leave the Blu-ray-supported PS3 out of its stats. But it's obviously happy to include it when it's convenient. HD DVD sells more movies? "HD DVD not only offers all the picture and audio benefits of other HD formats, it also has the most affordable and feature-rich players on the market today. Unlike other HD formats, every player produced gives the consumer the same consistent HD performance and experience," said Alan Bell, chief technology officer at Paramount Pictures. The overall attach rate is highest in Spain, where HD DVD owners have bought an average of 5.7 movies per player, which is over 14 times the attach rate for Blu ray which is reportedly just 0.4 per player. It's an amazing turn around in PR strategy for the HD DVD camp to suddenly include PS3 sales in its stats. In terms of player sales, Toshiba likes to say that the PS3 should not be counted as an HD player because gamers 'don't want to watch HD movies'. But now, by including the PS3 in its stats - a product that by the HD DVD Group's own admission is going to be bought by people who have 'no interest in Blu-ray' - it makes the attach rate of Blu-ray movies per player appear artificially low. It's effectively diluting the Blu-ray Disc attach rate. You have to admit, it's a clever marketing ploy. But a transparent one at that. The truth is that the numbers of HD movies being bought are still very small and both the HD DVD and the Blu-ray camps will seemingly say anything to score some cheap points. Meanwhile, the HD war quietly rumbles on below the radar of the majority of UK citizens.